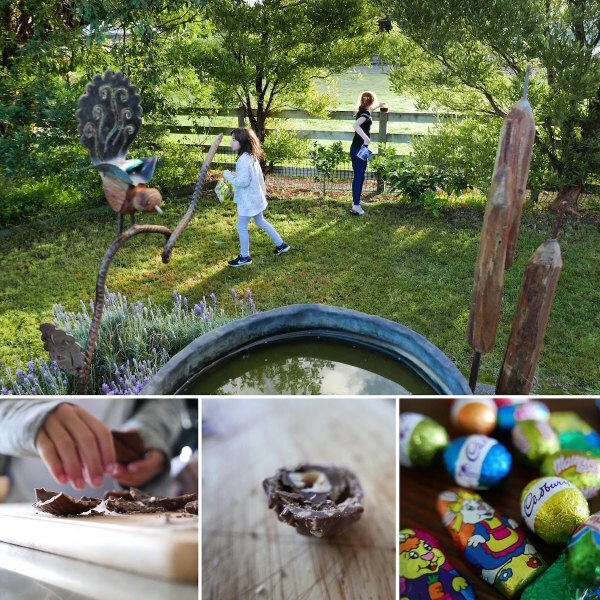 Easter weekend coincided with the first days of April and our clocks winding back an hour in New Zealand. 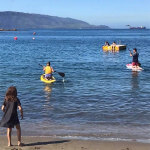 Thankfully the warm weather, that has been blessing our days all spring and summer, is continuing on into early autumn. 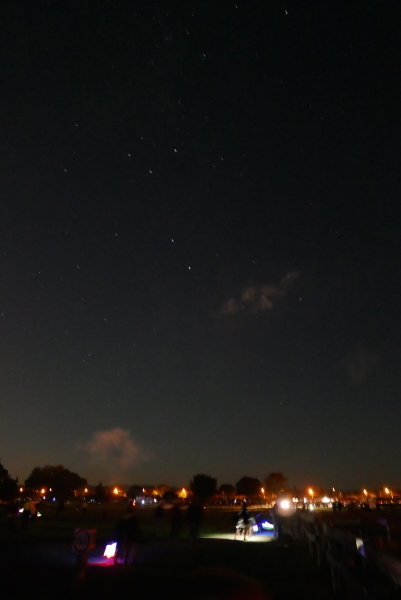 (I just need to adjust to wearing my head torch for night runs!). 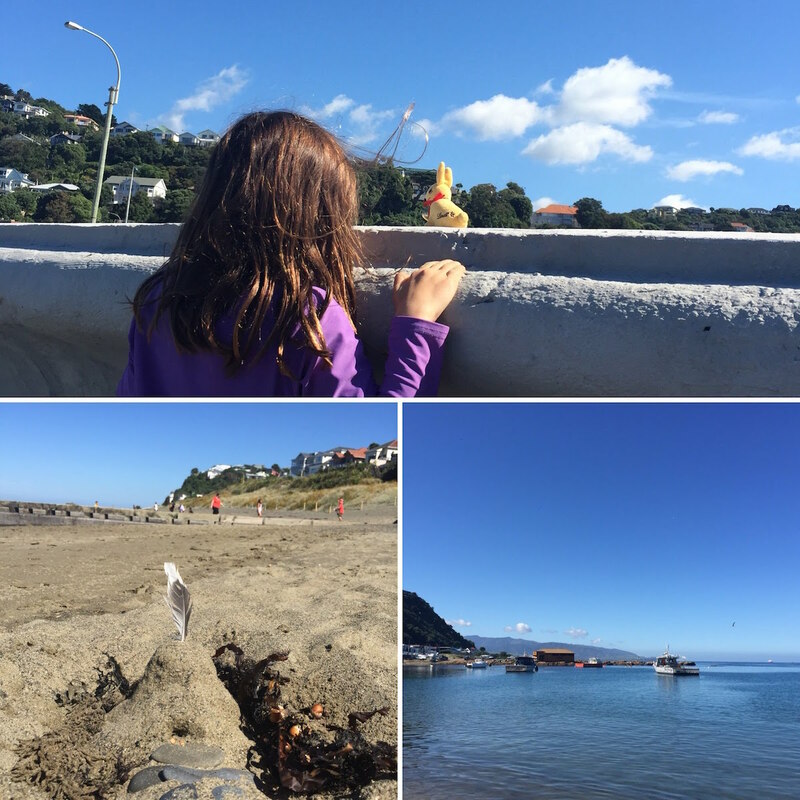 Temperatures are in the low twenties and the sea is still welcoming us in for a dip and a play (the dolphins have been frolicking off the south coast of Wellington with great frequency too!). On Good Friday we spent a lovely time at Island Bay, where we took the paddle boards out and marvelled at the clear water over the marine reserve on the south coast. 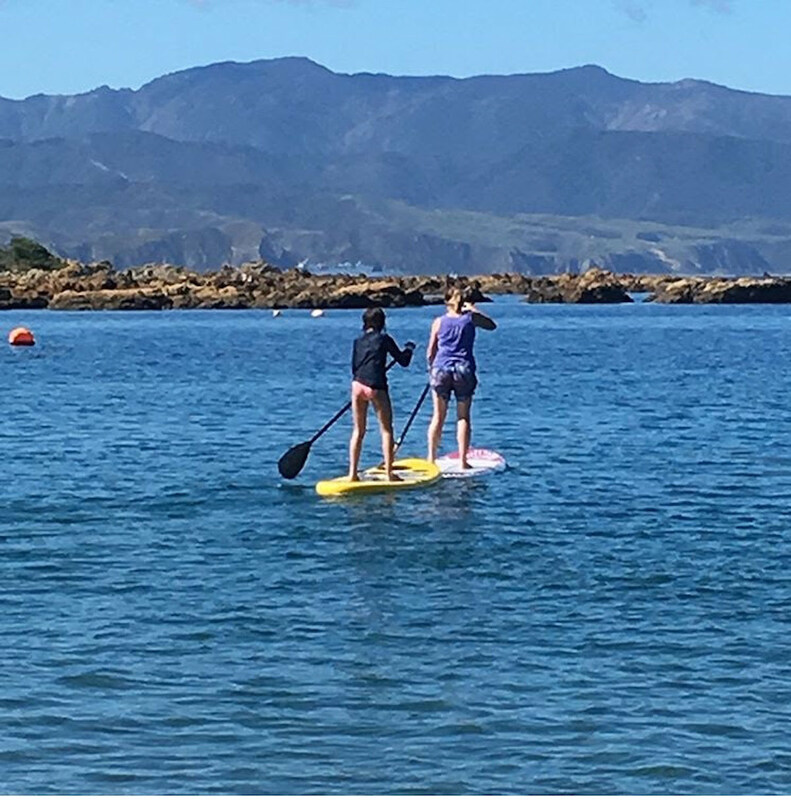 Paddle boarding in Island Bay with my daughter, Sophie. 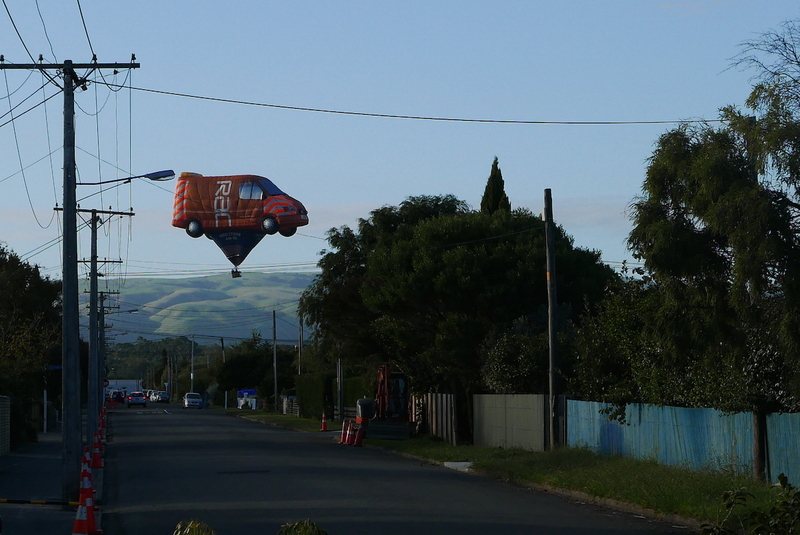 On Saturday we drove over the hill to the Wairarapa, to stay in Martinborough, the wonderful wine capital of the region. 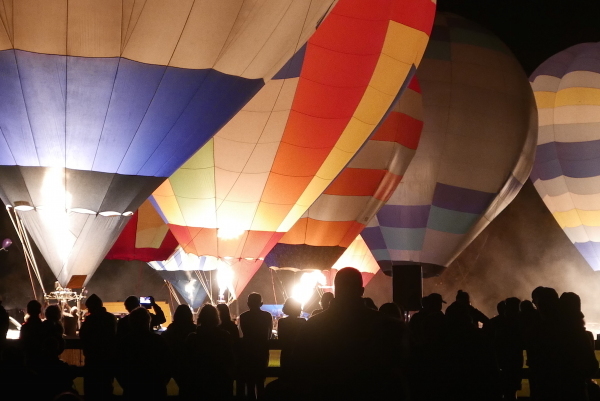 The annual balloon festival made our stay especially wonderful, as we were woken on Easter Sunday by hot air balloons drifting over the village. Hot air balloon visiting New Zealand from the UK! We had friends staying with us and all the children (especially the younger ones) were keen to hunt for Easter eggs in the garden – but also captivated by the balloons floating over head. 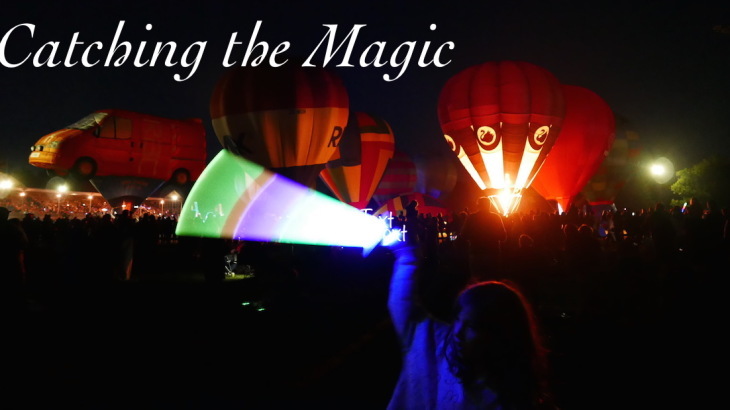 It was a real treat for young and old! After the early morning wake up call (just as well the clocks had wound back an hour in the night!) 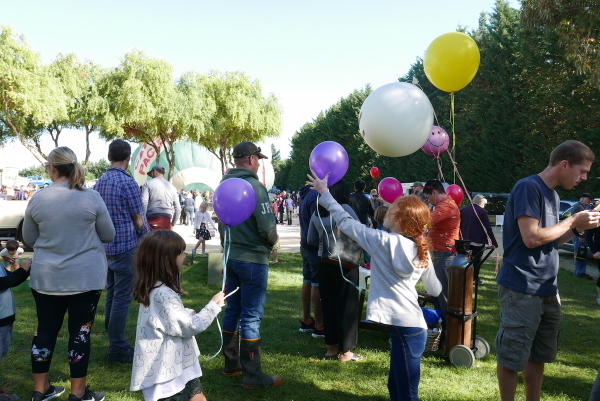 we headed to the Farmers Market at Te Kairanga Vineyard. 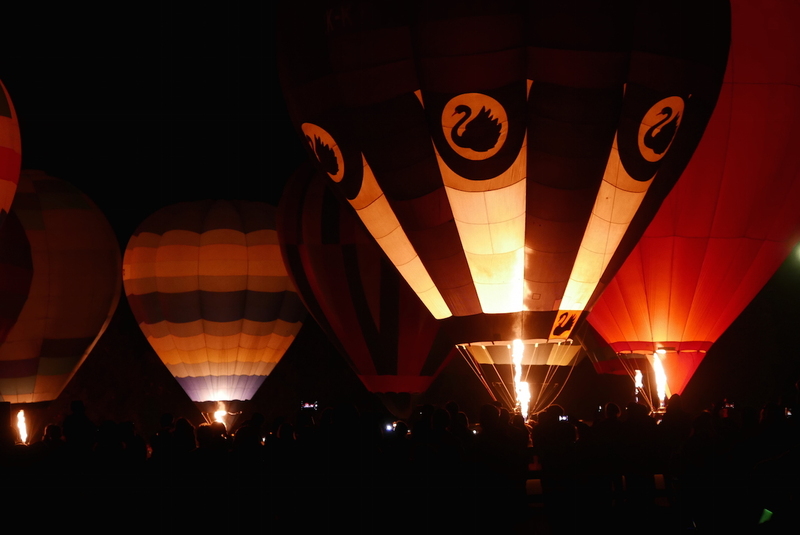 It was the last one of the spring and summer season, held on the first Sunday of every month. 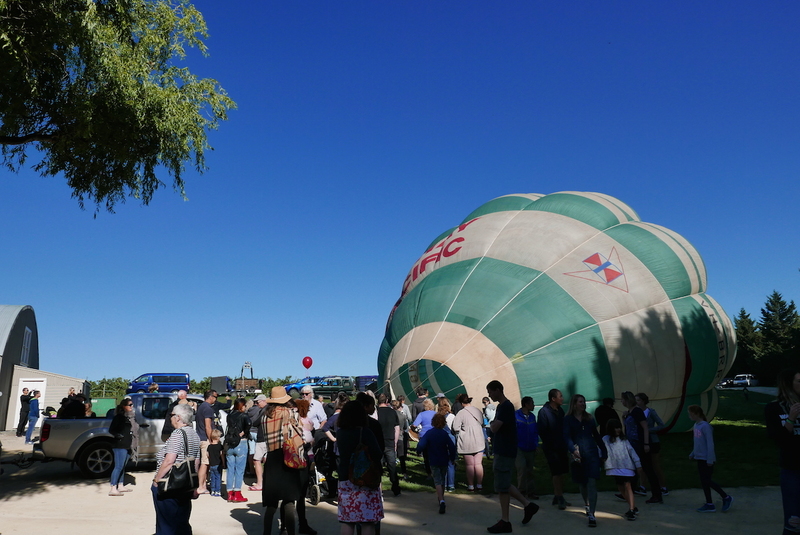 The hot air balloonists had gathered at the market and had a balloon inflated for people to walk inside – which was quite amazing! 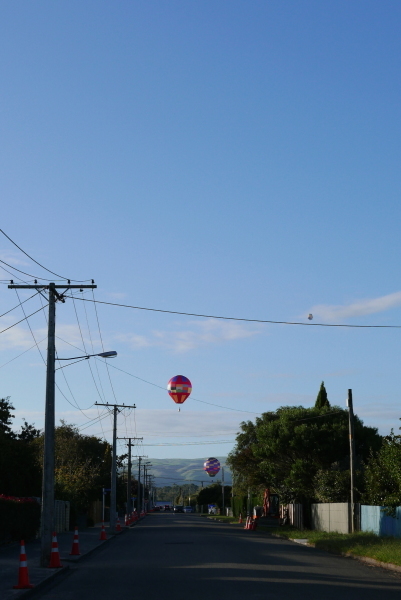 At the TK Farmers Market in Martinborough – a visiting hot air balloon! 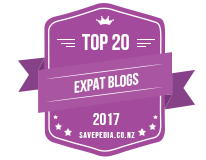 After all the morning’s excitement (and a rather late and jovial previous night!) some of us were ready for a quiet afternoon (even a nana nap – yep, that was me – not ashamed to admit I love a good nap!). Meanwhile, the men folk were awesome and took the children out for a round of tennis cricket (they had plans to play tennis, but the courts were busy). 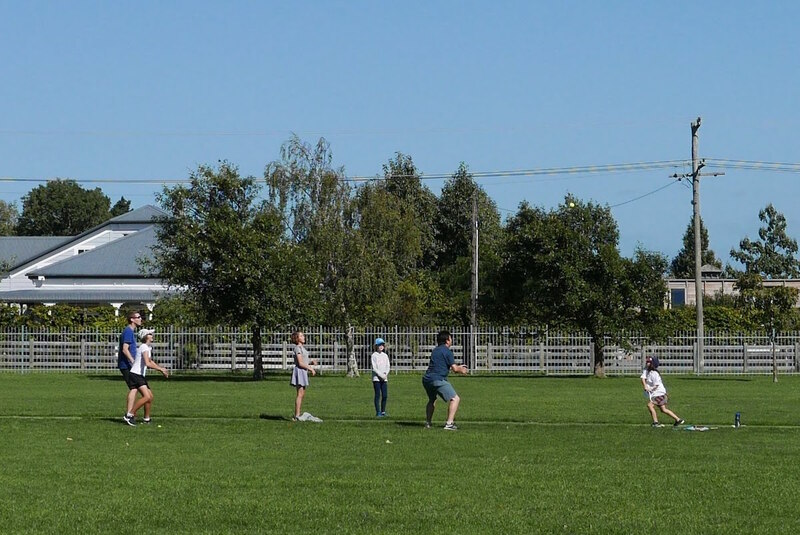 Tennis cricket with the children on the school field in Martinborough. In the evening we headed to the Solway Showgrounds to see the hot balloons light up in the night sky, in the ‘Night Glow’ show of the Wairarapa Balloon Festival. 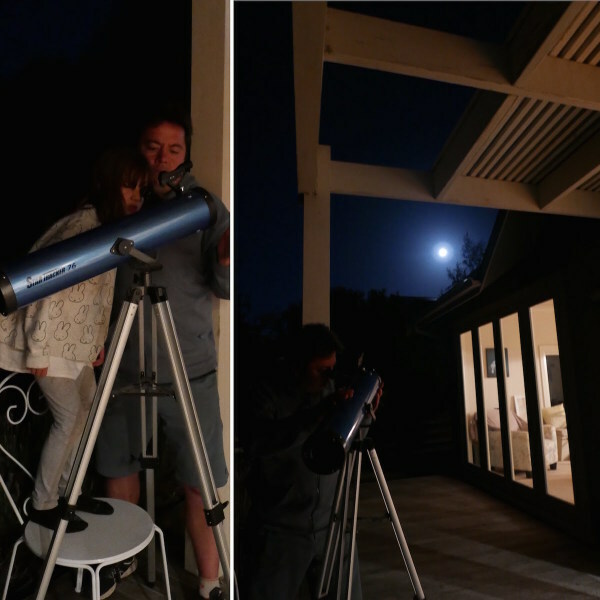 To finish the evening we took the telescope out on the deck and showed our children the craters on the moon. Needless to say, Easter Monday was a quiet one! 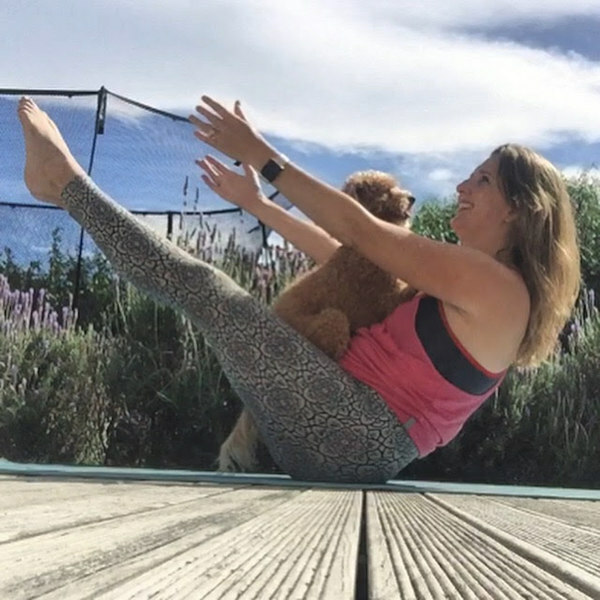 I took to my yoga mat for a stretch (my fur baby joined me!) and the children had a quiet day (well, as quiet as they ever do – lots of dancing and bouncing on the trampoline!). My fur baby joins my for ‘boat pose’ – catching a free ride… ‘Row, row, row your boat!’. 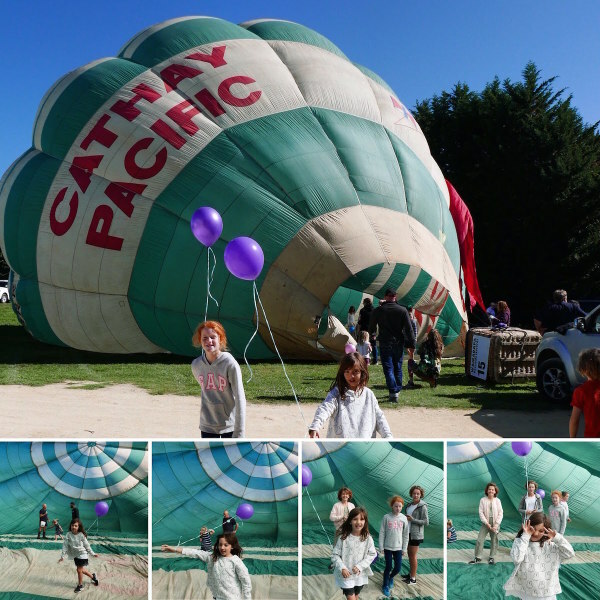 Country Kids, Header, Martinborough Country Kids, Easter Sunday, Farmers Market, Hot air balloons, Martinborough. permalink.